Another brand new, full length, ladies fashion umbrella. We have been looking for these umbrellas for a long time and had almost given up the quest and then… out the blue! Scroll down for more info. This fun and functional umbrella will keep you safe and dry on a dark and dreary day, as well as keeping you safe and stylish! 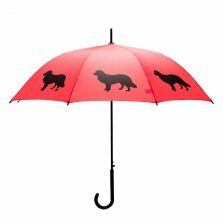 This Cats and Dogs Umbrella is funky and funny enough to raise a the mood of any onlooker or passerby. 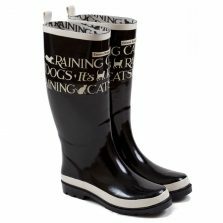 Fabulous, fun raining cats and dogs design umbrellas. 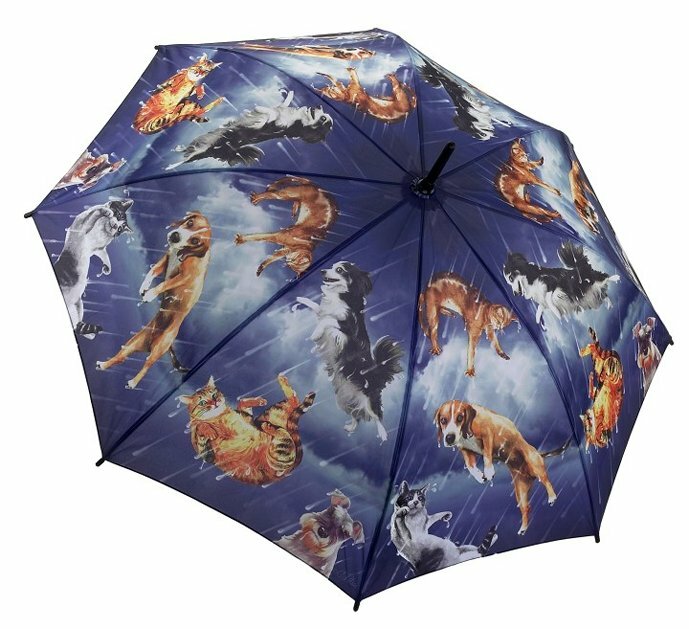 This cats and dogs umbrella features a fun and funky canopy design, depicting cats and dogs caught in a rainstorm! This cute and cheerful umbrella is enough to brighten anyone’s day and makes for a good travel companion too. 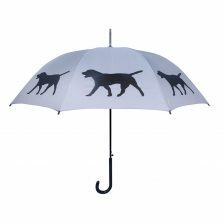 A fun but practical gift for you or a loved one, why not treat yourself to a cats and dogs umbrella today! Is this cats and dogs umbrella not the one for you? 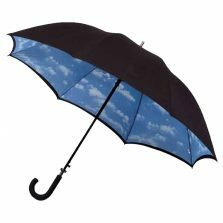 Check out the rest of our range of quality Animal, Birds & Butterfly Art umbrellas!